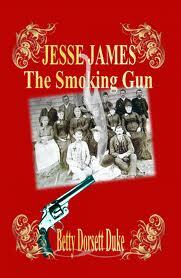 BOOK REVIEW: Jesse James: The Smoking Gun by Betty Dorsett Duke (Betty Dorsett Duke: 2011), 337 pp., soft cover, $19. This is the third book written by Betty Dorsett Duke in an attempt to convince the world that her great-grandfather, James L. Courtney, was really Jesse James. Like her previous books, this one is another example of half-baked ideas, lack of scholarship, and wild imagination. (mother of the famed guerrilla leader) visited Missouri. Mrs. Quantrill was given a reception at Blue Springs, Missouri in May 1888. There was also an ice cream social held in her honor and she spent some time in September visiting with Mrs. Reuben Samuel, the mother of Jesse and Frank James. Woodcuts or sketches of Mrs. Quantrill appeared in the Kansas City Journal, the Kansas City Star, and other newspapers during her stay in Missouri. This same photo that Duke labels her “smoking gun” is currently displayed on quantrillsguerrillas.com and Mrs. Samuel and Mrs. Quantrill are identified as the two elderly ladies in the center of the photo. There are other misidentified and questionable photos in the book as well. On page 280 there is a photo identified as Arkansas Tom Dalton. This man is, in fact, Roy Daugherty, alias Arkansas Tom Jones. He was a member of the Bill Doolin gang and was captured after the gun battle in Ingalls, Oklahoma Territory on September 1, 1893. On page 138 there is a supposed picture of Wood Hite, a cousin of Jesse and Frank James and a sometime member of the James gang. There has never been a published photo of Wood Hite as far as I know. 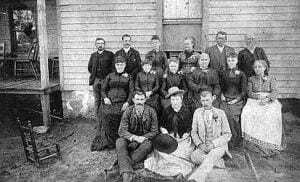 Some time ago I contacted the Logan County, Kentucky Historical Society in an attempt to locate photos of the Hite family. The Society does not know of any photos of this family. They did supply a couple of photos of some of the Hite graves. Several more of the photos in this book are very questionable as well. Ms. Duke spends a great deal of space recounting all the problems with the Dr. James Starrs exhumation and DNA testing of Jesse James in 1995. She has said most of this before, and many other people have questioned this as well, including this reviewer. Ms. Duke does add a new wrinkle in this book. She now says Stephen Caruso, Deputy Counselor for Clay County, Missouri in 1995, admits that the hair and tooth from the James Farm that was provided to Dr. Starrs was not what it was said to be. Caruso has allegedly stated that the hair provided was from the head of John Hartman the Director of Clay County Parks Department and the tooth was not from the James Farm. If this information is correct then the Starrs DNA testing was completely and totally faked. Ms. Duke has a lot of other misinformation in her book. She claims there is no documented evidence that Frank and Jesse James lived in Tennessee. There was testimony in both of Frank James’ trials to the effect that he lived in Tennessee and was known as Ben Woodson while there. She states that Rev. Robert S. James reportedly died in a mining camp called Rough and Ready (since renamed Placerville) California. Rough and Ready still exists today and Placerville is a completely different town. A lot of people change identity here and there throughout the book. None of this is explained to the satisfaction of this reviewer. Quanah Parker becomes a good friend of the James boys and builds a house for them according to Duke. It is very odd that none of the biographies about Quanah Parker have ever mentioned this. Burk Burnett, Dan Waggoner, Billy Dixon and several other well known western characters are brought up in this book. Duke claims most of these men were associated with her great-grandfather James L. Courtney. Evidence to support these claims is either lacking completely or very garbled. Ms. Duke comes across as very paranoid in this book. She makes a lot of claims about the “James Establishment” putting her down because if the truth were known then the James Farm and some other museums would lose money. She also claims that some of these “James Establishment” people are making threats to harm her and her family. In summary, this is another very bad book trying to prove that Bob Ford did not kill Jesse James in April 1882. Unless you find crackpot theories highly entertaining do not waste your money on this book. Betty Dorsett Duke thinks I’m out to kill her. She’s insane. Betty thinks others are out to murder her, too. Yes, she’s that insane. But why would anyone want to murder Betty Dorsett Duke? After all, she doesn’t exist. In Betty’s imaginary world, she craves to own an existence. Betty craves an identity of her own. More than anything, Betty craves a famous identity. You see, Betty has no identity. She’s murdered it. And she believes she’s gotten away with the crime. Long ago, maybe as early as childhood, Betty did away with the family she was born into. She killed them off straightaway, in her mind. Betty killed her own family because she didn’t want to accept the birthright God gave her. No, God, Betty said, not your choice. My choice. I want to be the great-granddaughter of Jesse James. Irrationality, like challenging Creation itself, Betty conveniently disregards. If indeed she was the outlaw’s great-granddaughter, Betty would be approaching 90 years old. Betty is a generation short. Betty desperately craves the blood of Jesse James as her own. She once confronted a real great-grandson of the outlaw. As if performing a stick-up, Betty demanded. “Give me your blood! Right here and now!” Jesse’s great-grandson, who was a Superior Court Judge, laughed at her. He ruled his assailant was crazy. Another time, Betty tricked an old woman in her nineties to give Betty a vial of her blood. She told the feeble woman, “so I can prove we’re kin.” The aged woman was a true cousin of Jesse James. Betty is not. Assaulting people is something Betty likes to do. It’s fun for Betty. It’s her occupation and recreation. After all, in Betty’s world of imagination, there are no consequences. In Betty’s mind, she’s the daughter of an outlaw. Assaults are to be expected, imaginary or not. But then, Betty decided to turn her imagination into reality. Betty formed a gang. They could do her dirty work for her, and Betty could fly free of any consequences. Betty manipulated a con artist who peddled fake historical photographs to be her front man. The con thought he could become famous, too, if he could just hold on to Betty’s skirt. But the world fast recognized the fool was a con man, like Betty. Somewhat confounded about what to do with her ineffectual protégé, Betty easily bought into his world of daydreams and illusory nightmares, too. Fantasy birds of a feather. Betty wasn’t above conscripting a puerile, little boy into her gang, either. As if he was born her own, Betty adored the babyish boy who loved nothing more than to make fun of grown-ups. Betty could offer the infantile ample targets of opportunity. Over the years, Betty conscripted others into her gang. But none could survive among the lies which populate Betty’s imaginary world. Even within her world of outlaw spirits and phantasmagorical invention, Betty continues to fantasize. If someone were to murder her, Betty hallucinates, she then can become famous. Who would be the best person to murder her? Of course. The murderer must be someone Betty believes is from Jesse’s family. Betty picked me. With the encouragement of the silly con man and the effete boy who likes to insult grown-ups, once more Betty devises another assault. Because Betty has conspirators, Betty believes I must have conspirators, too. She assigns me a batch and then fabricates a fiction of how we’ve banded together against her. Betty imagines a confession of guilt is what’s needed to turn a convincing trick. She finds some hapless soul to play along in a charade he doesn’t believe himself. Betty calls the FBI. “They’re trying to murder me,” she cries. “I have evidence – a confession!” Once more, no one comes. Betty does not live in the world of facts and reality where real crimes need investigation. Betty lives in her imagination. Frustrated, Betty appeals for recognition to the press, to TV reporters, and to the national news outlets. Betty desperately litters the internet, posting her accusation over and over. All to no avail. No one investigates her accusation. No one is interested in Betty’s concocted confession. Yet again, no one responds to Betty. Sadly and pathetically, she is not of their world. Betty is a lonely person. Like all who live in a world of self-made madness, Betty struggles every day with the identity she created for herself. But happiness never comes, because nobody believes Betty is a great granddaughter of Jesse James. Certainly not her own family. They ignore Betty. Certainly not the family of Jesse James. Few of them know who Betty Dorsett Duke might be. There is no one, no one to validate the existence of Betty Dorsett Duke. She doesn’t exist. How can anyone want to murder someone who doesn’t exist? Who is there to murder? There is no one. UPDATE: Betty Dorsett Duke died August 29, 2015. 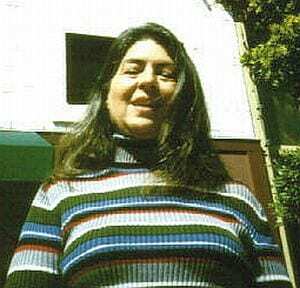 Her online obituary identified her as “Betty Gail Duke,” a name she never employed when making her claim against the James family. Her claim remained unproven unto her death. Her own family continues to discredit her claim (see link below). The Jesse James family denies Betty Dorsett Duke, aka Betty Gail Duke, is their kin.